Last year the holiday season was tough for me because being gluten free during the holidays means having to opt out of eating cookies and cakes and all that bad stuff at parties. 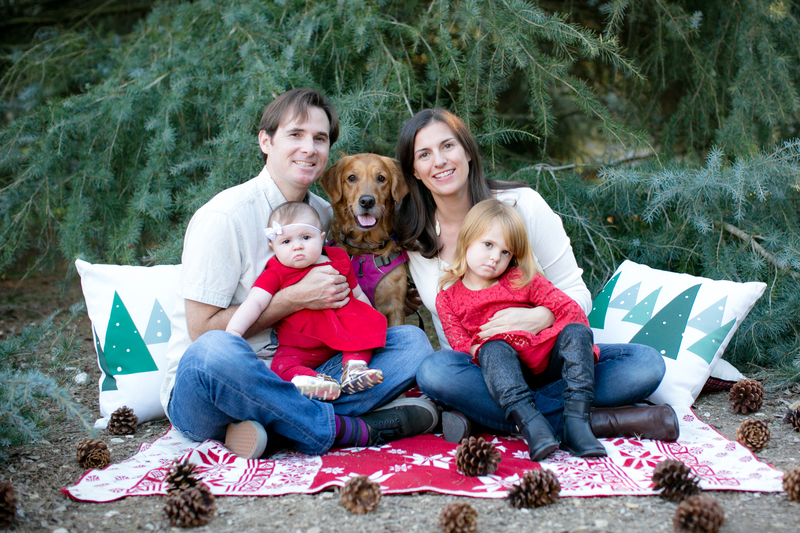 I even wrote a post on Being Gluten Free during the Holidays. It’s not easy. But when you are super strict with your diet, it is what it is. Do I crave sweet stuff? Sure, sometimes. The cravings are not at all like what they used to be but I do like to indulge in some of my holiday favorite traditions like cookies and cake every now and again. It’s just that if I eat them, I have to make my own gluten free version or find somewhere that does. I had heard that Pillsbury now makes gluten free dough and had been meaning to try it out. Pillsbury lists all sorts of gluten free products they make on their gluten free section of their website and they all look pretty good. They sent me a couple vouchers in the mail to try out their new products which was super awesome. 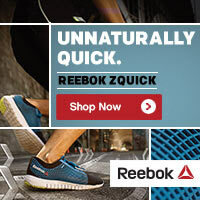 Perfect timing with the holidays! I’ve been wanting to bring some gluten free goodies to holiday parties and colleagues so this gave me the perfect opportunity to do so. I bought a couple containers of the gluten free chocolate chip cookie dough and decided to get creative with the recipes. 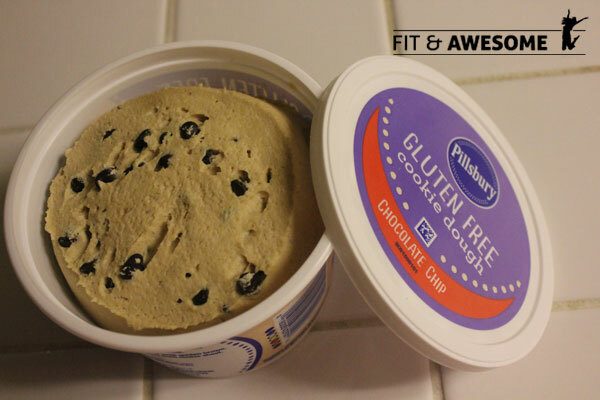 First I went to the Pillsbury Pinterest board to get some ideas for what to make with the gluten free chocolate chip cookie dough. All these foods that I haven’t eaten in so long can now be made gluten free using this gluten free chocolate chip cookie dough. This is dangerous folks. Very dangerous. 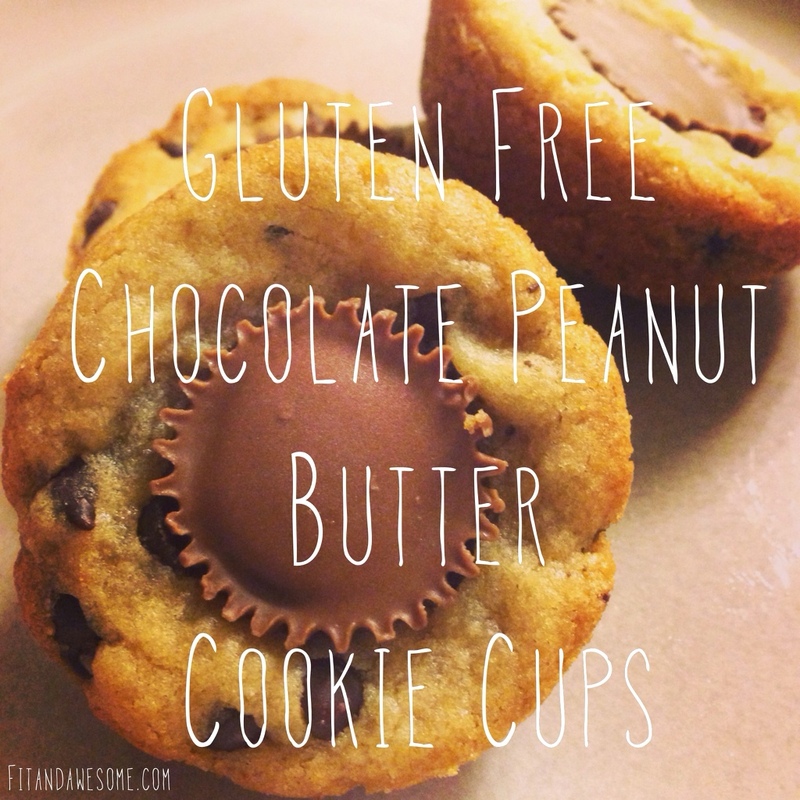 I saw this Gluten Free Chocolate Chip Peanut Butter Cup recipe and decided that is the recipe I have to try. I used to love eating the cookies with the peanut butter cups in the center but I never thought it was possible to make them gluten free. Time to put the gluten free chocolate chip cookie dou gh to work. One bag of Resses Peanut Butter Cup Miniatures. Note: Do NOT use the Reeses Peanut Butter Bells. They use a gluten binding agent to shape the Reeses into a bell shape and it is NOT gluten free. Please check all labels. Preheat your oven to 350 degrees. Spray a muffin tin. I don’t have a mini muffin tin so I used a regular one and it worked out fine. Next, scoop the Pillsbury Gluten Free Chocolate Chip cookie dough into flat tablespoons full of dough and drop into the pie tin. Bake for 10 minutes or so. Unwrap Reeses peanut butter cups. 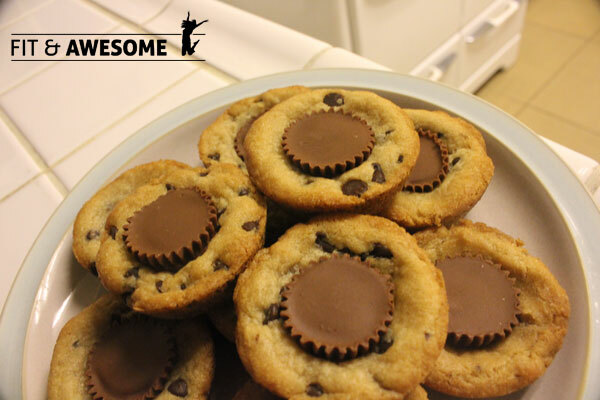 Take the cookies out of the oven and drop the peanut butter cups into the center of each cookie. Let cool and then refrigerate for one hour. Eat and enjoy! I really enjoyed making these Peanut Butter cookie cups using the Pillsbury Gluten free Chocolate Chip cookie dough (probably a little too much). Before the holidays are over I want to try and make the gluten free chocolate chip cookie ice cream sandwich recipe from their Pinterest page as well! Disclosure: This article is sponsored by Pillsbury but all thoughts and opinions are my own. What about you? 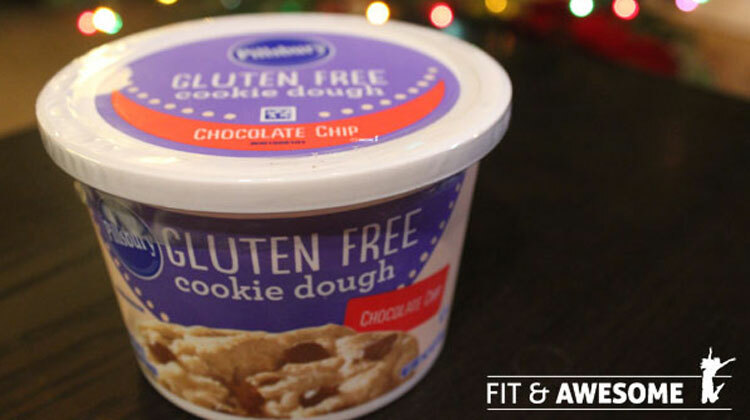 Have you ever used Pillsbury gluten free cookie dough? Post in the comments and let me know. I never knew they made such a thing! I had a cookie exchange this year and I haven’t been gluten free in a few weeks (and am paying the price) so I didn’t worry too much. I was thinking about making another batch of my cookie recipe and attempting a gluten-free version. But this sounds much easier! OMG I have to try this next. I tried the pizza dough and it was great!